Unique service. 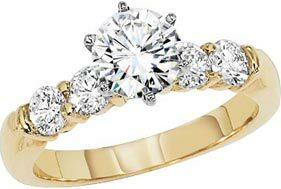 Holland Jewelers in Lewes, DE offers in-house jewelry repair services and uses modern laser jewelry welder. For you, our customer, it means that your jewelry will never be sent out in the mail. It also means that the most intricate repairs can be done without the risk of damaging the stones or the structure. A certified GIA Jeweler and Gemologist will perform all the work on your jewelry. No pressure. Holland Jewelers will never try to sell you anything. When you are looking for an engagement ring, a wedding band, or any other piece of jewelry for a gift, we will educate you about your choices. No matter what your budget is, Holland Jewelers will help you make the right decision about your purchase. Outstanding selection. You will find a gift or a treat for yourself at every price-point from inexpensive jewelry to exclusive diamond creations. We offer a great selection of jewelry (diamond rings, diamond earrings, bracelets, pearl necklaces, white and yellow gold, silver, gemstones from around the world in various settings, etc. ), watches, and estate pieces. Convenient location. Holland Jewelers is located in Lewes, DE, just 3 miles from Coastal Highway on Rte. 24 and has plenty of parking. The store welcomes both the area residents and Delaware beach visitors as we are close to Millsboro, Rehoboth Beach and Dewey Beach, Delaware. Time-proven reputation. We have been serving Delaware for almost 30 years and also have a large customer base from other states for our outstaning work and there are no taxes in Delaware on your jewelery needs. @2019, Holland Jewelers. All Rigths Reserved.